Staff photos by Clay Schuldt John Vorwerk stands next to a small sample of his pinball collection at The Pinball Place. Several pinball machines were themed on popular games. This baseball theme game is designed with a diamond playfield and the flippers represents baseball bats hovering over home plate. 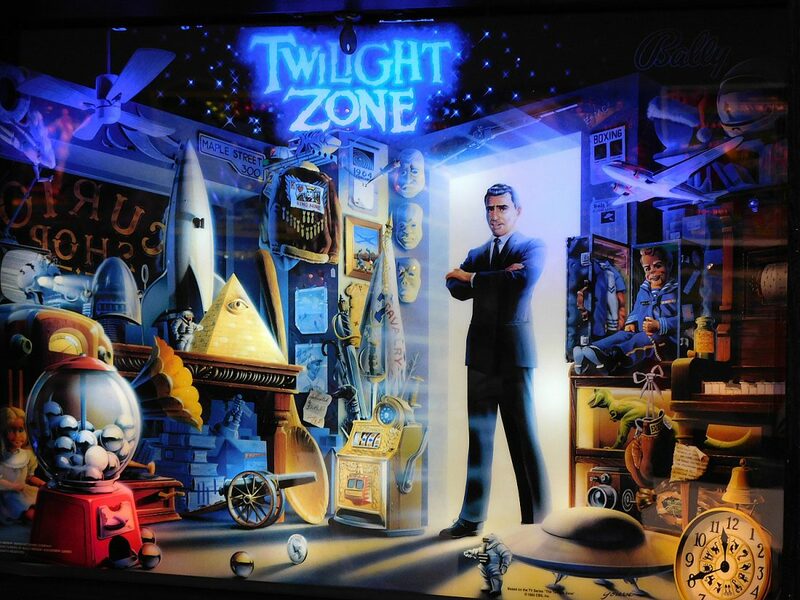 The Twilight Zone pinball game one of John Vorwerk’s favorite machines due to the complex rule set for the game. The back art features show creator Rod Serling. Every pinball machine model is unique and some have complex objectives like the Twilight Zone theme game. 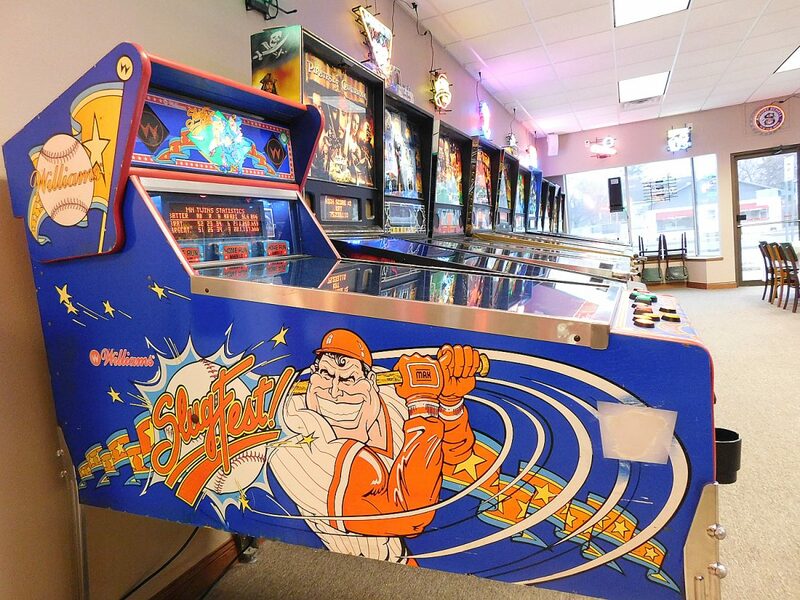 NEW ULM — For over a decade it looked like it was game over for pinball machines. The classic game of arcades and bars had its heyday in the 1970s and 1980s, but by the 21st century it seemed the last silver ball had finally slipped past the flippers and gone down the drain. However, as true pinball players can tell you; if you’re good enough there is always an extra ball. Pinball machines are coming back in popularity and can be found in bulk in New Ulm. Vorwerk said he does not consider “The Pinball Place” a business so much as a hobby that went too far. His hobby began with the purchase of a single Corvette-themed pinball machine. Vorwerk had wanted a pinball machine and already owned a Corvette. Combining the two interests seemed natural. Once he got his first pinball machine, he started to collect more. “I was always into pinball machines,” Vorwerk said. He use to visit his aunt and uncle in Richfield. While there, Vorwerk and his cousin played pinball at the Southdale Mall in Edina. Later, Vorwerk worked at Shorty’s in Mankato and frequently played pinball there. His love of the game never went away and now he has the opportunity to indulge. Since Vorwerk already owned a building on Broadway, it was a logical place to set up a showroom. For the last three years he has been working to restore the space. 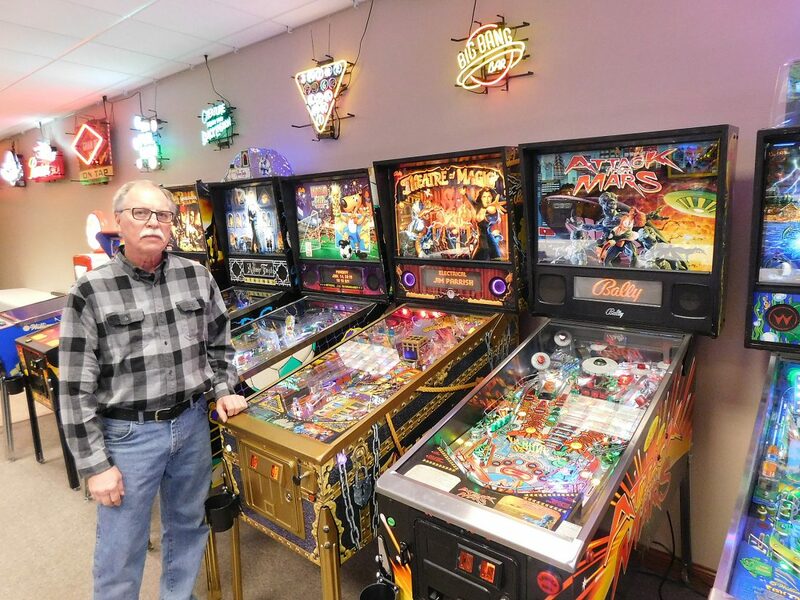 His wife Phyllis and son Dave have helped and now The Pinball Place is a family run hobby. The main floor of The Pinball Place has 24 machines ready for use. A few other models are stored elsewhere. Vorwerk said the plan was to rotate the machines to keep patrons interested with new machines. Vorwerk said this is not uncommon. Across the country there are pinball collectors and the hobby usually starts with one machine. Today, he owns approximately 125 pinball machines. 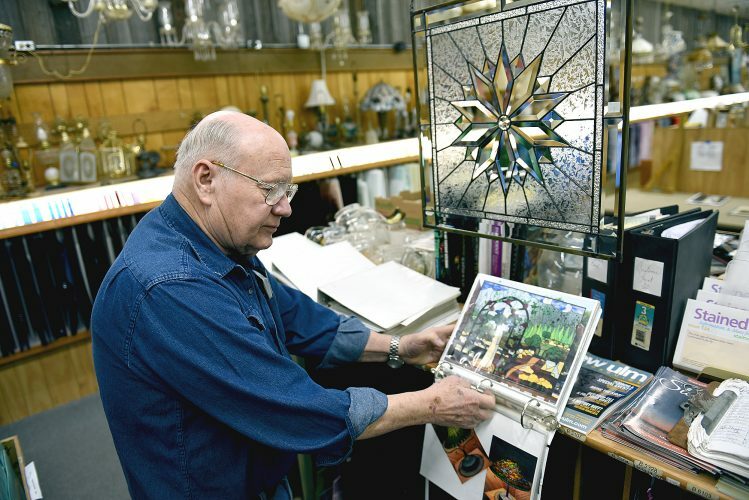 His collection spans across the decades from the late 1950s to the early 2000s. Pinball machines were based on a wide array of themes. New machines were often based around popular films or television shows. A few pinball machines replicated other popular games. Vorwerk has a baseball theme pinball machine. He said these style of games were extremely popular because everyone already knows the rules of baseball. Vorwerk does not have a favorite machine, but said he would likely always have the Twilight Zone machine because it has the deepest set of rules. The object of all pinball games is to keep the ball on the play field, but Twilight Zone has the most complex set of rules for racking up points. Vorwerk has acquired pinball machines one at time or in bulk. Once he was able to buy 60 pinball machines from an amusement park operator in Texas. He paid a flat rate to get the machines. As a result he does have duplicates of certain machines, which he will likely sell off. Vorwerk admitted most of the pinball machines he buys do require repairs. 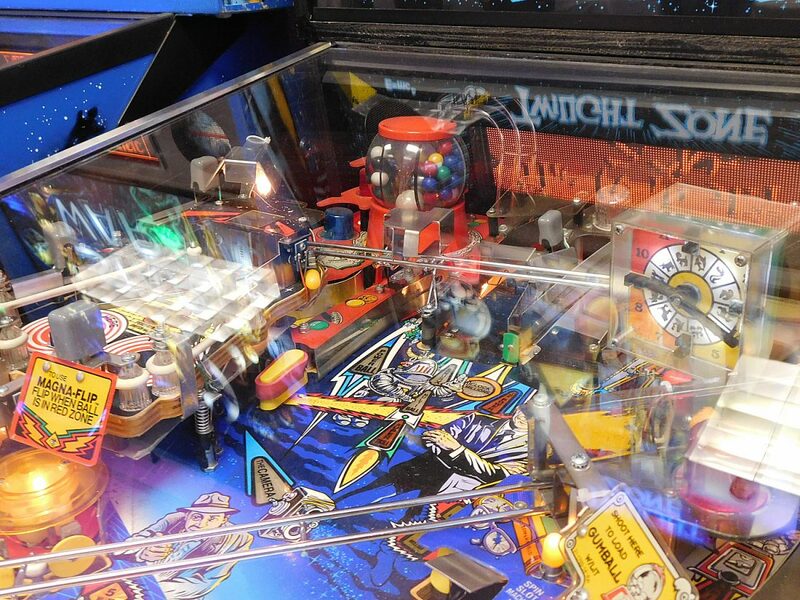 Fortunately, various websites have assisted with the repairs as there are avid groups of pinball collectors across the country willing to give advice. To fix them, you need to take out the entire play field, polish and clean the parts and reassemble it. With newer models, circuit boards need to be fixed. The need to continually maintain pinball machines is one of the reason the games fell out of popularity. Video game cabinets had fewer components to maintain and soon became more efficient devices to keep at the local arcades. Despite the decrease in pinball popularity in the 1990s and early 2000s it is starting to return as part of a retro-gaming trend. Vorwerk said the arcade bar trend is coming back in fashion. He has visited a few pinball bars in other communities. One curious thing he noticed is the pinball bars tend to be located in smaller communities like New Ulm. The building rental rates are usually lower in small communities and pinball fans will travel to play their favorite games. Vorwerk has already started renting the place out for private parties, but operation of The Pinball Place has been low-key. Early advertisement has been through word of mouth. Recently a few promotions have been published on Facebook. Unlike the pinball bars from the 1970s and 1980s, the Pinball Place does not keep regular hours. Rather than charging 25 cents per game, the room is rented out for private events and the machines are free to play. Vorwerk charges by the hour and the number of people attending. For private parties Vorwerk sets the minimum charge at $300. Beer is available for purchase for events. Vorwerk uses Green Mill to cater the events. Recently, The Pinball Place opened for special public events. 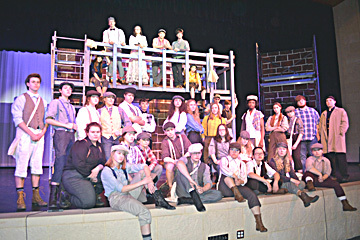 The first public event was Dec. 29. 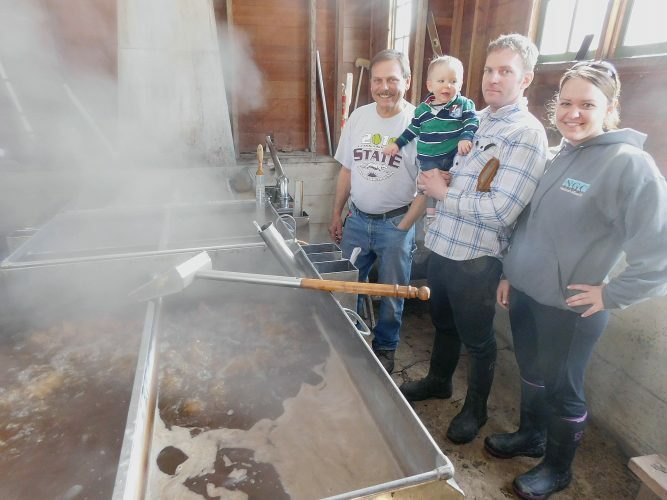 The next public event is 6 to 10 p.m. Saturday, Jan. 26. 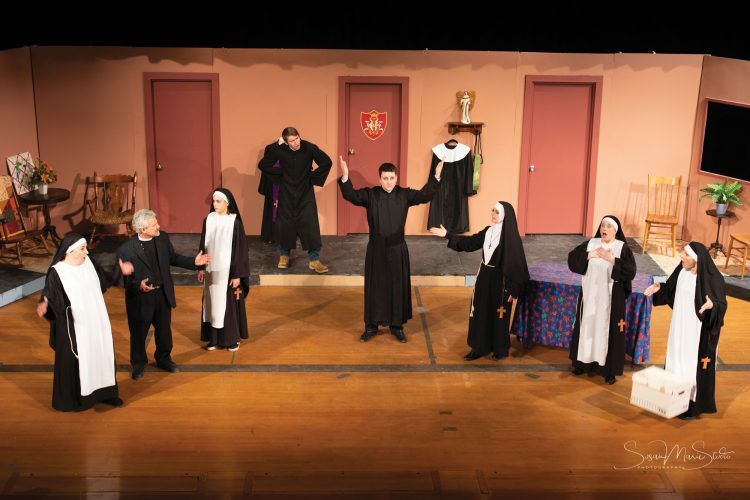 Admission is $20 for adults and $15 for children under 15 accompanied by an adult. The machines will be free play all night. 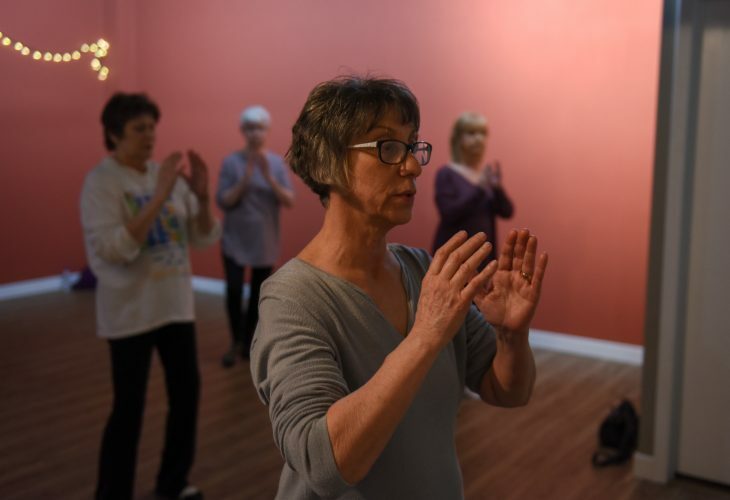 “We’ve already gotten a lot of calls about the event,” Vorwerk said. 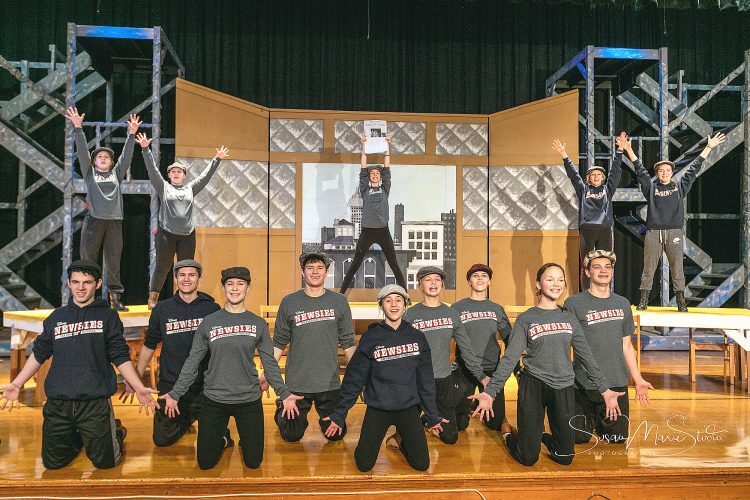 “The interesting part is the calls are coming from outside of New Ulm from Mankato, Austin and Burnsville. The first public event in December had 25 people, but the Pinball Place has a capacity for 50 people. Since there is only 24 machines running at one time Vorwerk tries to keep numbers to 50 to limit wait time on a particular machine. Some of the machines are multiple-player and allow up to four players to compete for high scores. Vorwerk said the multiple player options are popular. Modern gamers are use to competing online and often do not interact with an opponent. “Pinball is more interactive than a video game,” Vorwerk said. The pinball machine might be an older fashion style of entertainment, but it allows for a level of social interaction missing with modern games. Part of the fun of these games is sharing the experience. The desire to share the games was the main inspiration for opening The Pinball Place. Vorwerk said he did not initially intend to open a pinball themed business, but was a desire to display his collection.